Piecework pay may be beneficial for both you, the farmer, because you are giving incentives for getting work done and to the worker because he or she can make more for working harder, but there are a number of federal regulations that make knowing the laws behind the use of piecework pay mandatory before you implement it in your agricultural work. When Do Overtime and Minimum Wage Laws Apply to Piecework Pay? 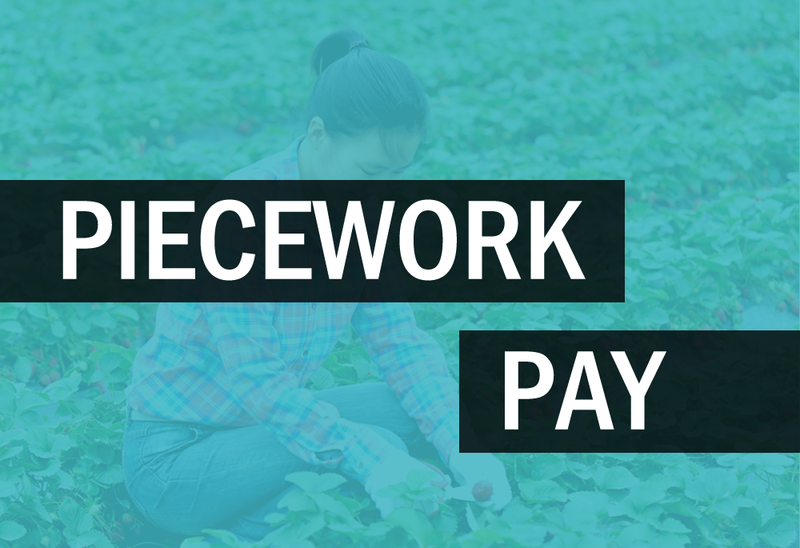 The Fair Labor Standards Act ensures that agricultural workers get paid enough to support themselves and has extended the laws regarding minimum wage to farm work, but the act does not demand that an agricultural employer pay 1.5 times for overtime work that their agricultural laborers do. If you are not paying minimum wage for any of the above-mentioned scenarios, it is crucial that you keep track of birthdays, family member employment, and the occupation of the employees to ensure that the employees still remain within those categories. If they do not, you are liable for up to $10,000 in fines, prosecution, and imprisonment for repeatedly offending. Because it can be difficult to manage piecework pay for a large number of employees, QuickBooks and other, similar accounting programs offer piecework tracking that make it easier for you to record all the individual numbers at the end of the day and/or work week. To use the right numbers while paying employees, you need to know the average productivity rate for specific agricultural tasks. For instance, if you are paying workers for picking oranges and you pay by the box, you need to know how many boxes the average laborer could pick in an hour. Then, you choose a set rate per box that will ensure that everyone or almost everyone meets at least the minimum wage requirement every hour. Remember that you are liable for paying the difference if a laborer’s piecework pay average is lower than minimum wage.